While South Africa was one of the most magnificent countries in the world, its beautiful land and coastline drawing millions of tourists, "we are seemingly at war with our planet," South African President Cyril Ramaphosa has said. Launching the Good Green Deeds environment programme in East London, Eastern Cape Province on Friday, the president said: "Littering, illegal dumping and the pollution of our air, our streams, our rivers and our oceans have had negative effects on our health, our quality of life and on the very appearance of our country. "We have become the throwaway generation," he said of the project aimed at placing environmental care at the centre of South African culture by caring for the planet and its people. 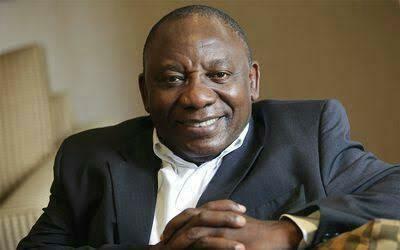 In order to achieve this, Ramaphosa said he believed that it was time for citizens to change their attitude and behaviour towards the environment. "Instead of putting litter into waste bins, we toss it out onto the streets; instead of managing our waste, we dump it in places it is not supposed to be. All this makes our planet sick, it makes us sick and it makes our children sick. It is time for (us to) change," he added. To facilitate this much-needed change, the campaign encourages citizens to perform at least one “good green deed a day” to make a difference. "Whether it is in recycling your waste, or conducting clean-up activities in your street, in your neighbourhood, school, or municipality, you must be the agent of change we want and need," Ramaphosa appealed to the gathering in Buffalo City. The president hopes that this campaign would be embraced with vigour and enthusiasm in all municipalities around South Africa.